Well I never like to brag about places I get published in but I thought i would bring this one to your attention. I just got the “meet the member” section of ISAP’s latest newsletter. ISAP stands for the International Society of Aviation Photographers whose goal is to bring attention to the public not only the various aircraft that exist but opportunities to work with them. It is a group of individuals completely varying in experience, from Pros’ to enthusiasts. I am quite excited about this piece, it is the first of many meet the member spots i hope to get. 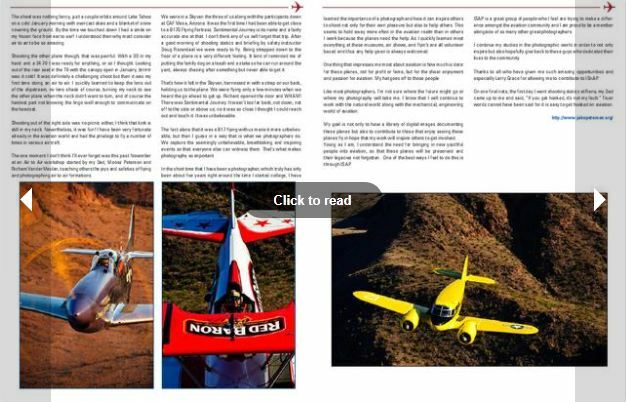 The story is about starting off in aviation photography, what it’s like, how it happened, and truly the joys that can be found. If you’re interested in aviation or curious about how easy it is to get started then check it out! ← How Much Post Work is Right to Use?